As we step into 2014, what are you thinking about prepping? How are you thinking about prepping? It seems a great time for each of us to review how we approach the world differently because of our preparedness mindset. Awareness means different things depending on where you are on the prepping continuum. For beginners, it means becoming aware of the need to prep. It’s that first knock on the door of your consciousness that gets your attention. When you open the door, it says “Hey, things might not always be as they are now. What do you need to do to get ready?” If you haven’t reached awareness yet, check out our Why Prep page – you’ll find a compilation of our blogs on that subject. If you’ve just reached awareness and are wondering where to begin, check out our blog Getting Started with Prepping – How Do I Begin? 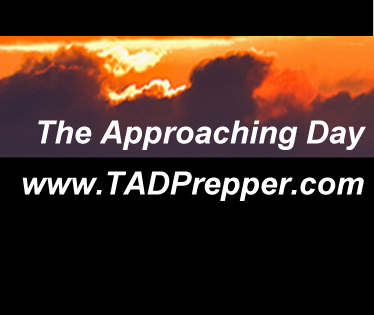 For more experienced preppers, awareness goes beyond the initial insight of the general need to prepare for a game-changing event. Awareness becomes being vigilant – always alert to what’s going on around you locally, nationally, and globally. It means monitoring shifts in political, economic, social, and environmental conditions. As preppers, we learn to be observant in every situation, thinking ahead to how we might need to adapt to new realities. Having come to an understanding that the world is in fact changing – that it will not go on the same as it is right now and may become a more challenging place to live – we’ve decided that we will take steps today that will position us to survive – even thrive – in a new and less friendly environment. We’re deciding today that we won’t be victims – people who need to be rescued by someone else. And I hope you’re like me and not planning on just being a “sole survivor,” but also being one who helps others survive as well. Preppers plan for the future. We live today as if tomorrow may be different. There are two parts to that sentence. “We live today…” – Our approach to prepping isn’t so future-focused that we fail to live for today. Enjoy the day! Don’t miss it. Don’t race ahead of today. God has given it to you and put things into it for your pleasure. Don’t let them go by without appreciating them. “…as if tomorrow may be different” – While enjoying the blessings of today, we are also gathering things and learning skills we might need in that different world. That means planning how we use our time and finances for future benefit. It means being proactive instead of just reactive. It means living intentionally. So as preppers, we live aware that tomorrow may be different from today, determined to live as well as we can in that day and ready for whatever that tomorrow looks like. That sounds wise to me. That’s a lifestyle I can be happy with today and tomorrow. I’m aware, though, that I often get distracted by bright shiny objects – whatever new and interesting thing crosses my path in a given day or week. To help keep ourselves on track, we’re preparing a 2014 Prepper’s Calendar. Watch for it early next week. Why Prep? Why Create a Prepper Site? You’ll find the more interesting version of our stories here. The short of it is that we’ve become convinced that the world is a fragile place and we don’t see it tipping toward stability. We don’t want to be unaware or caught unprepared for future challenges. Making preparations now gives us some assurance that we will have things like food, shelter, and heat whenever life-as-we-know-it changes significantly. And the more we prepare now, the more we’ll have to share with others later. Are we putting our hope and trust in these things? No. Our hope and trust is in Jesus. But we believe that He’s made us aware for a reason – so that we can prepare wisely. So we are preparing. And we’re sharing our knowledge with others. We’re not experts. In fact, in some areas we’re just getting started. Perhaps that makes us uniquely suited to create such a site – we understand where the prepper newbie is coming from. Welcome! We’re just launching the site, so there’s a lot of content that is planned, but not yet in place. You’ll see that the menus have many, many pages identified. Not all of those pages have content yet. We’re working on it! We’ll be blogging about twice a week as we fill the site. We also hope to have a “Prepper U” page that takes newbies (and not so newbies) from prepper kindergarten through graduation. But that’s still just on the drawing board. In the meantime, browse around the site and check out the content. Let us know what else you’d like to see or the topics you’d like us to blog about first. We’ll also be letting you in on specials, sales, and deals by various vendors we’ve used or who have a good reputation. As with everything else in life, prepping takes time and money. Our goal is to help you save both. We’ll do the research so you don’t have to and we’ll let you know when things go on sale. Wondering how to approach our site? I can understand that. We’ve had quite a challenge organizing it. Go to the Getting Started page and you’ll find an article titled Prepping for Beginners. Then head to the article titled How do I Begin in the Getting Started section. Don’t miss the section titled Proverbs for Preppers – you’ll find Christian studies and devotionals related to prepping. From there, roam around the site reading about anything that peaks your interest or needs. You’ll probably want to head directly to the Prepping Topics area. This is the heart of this website. You’ll find articles and blogs about many topics, with more on the way. Check out the Proverbs for Preppers – you’ll find Christian studies and devotionals related to prepping. We hope you’ll visit often. Sign up to receive our blogs by email so that you don’t miss any. If you find the information helpful, we hope you’ll share it with a friend. And we’d love to hear from you. What areas of prepping would like to learn about? Everyone is preparing for something. Some of you are preparing for a storm that could cause you to lose electrical power for several days. Others are stocking up to prepare for the possibility of being laid off from their job for an extended period of time. Other folks are preparing for more exotic calamities like draught, an economic collapse, war, widespread civil unrest, solar flares (the cause of the beautiful aurora borealis in the slideshow above), pandemic disease…you name it. The possibilities are endless. Sadly, the probabilities of one or more of them occurring in our lifetime is increasing steadily. Our concern is that the only thing many people are “preparing” for is to stand in line for the government to rescue them when hard times come. Instead of pre-planning and saving for their own rainy day (or week, or year), too many people are planning to make their problem everyone else’s problem. I understand that line of reasoning. We’ve worked hard, paid our taxes, and seen Wall Street banks and big corporations be bailed out (with our money!) for too long. So now when we need a bailout, we expect the government to be there for us, too. But the government no longer has any money. They broke the piggy bank long ago. They can’t just “go to the bank” and get more. I remember Hurricane Katrina. Families relocated by the government to another state. Living in motel rooms or small trailer homes for months and months after the storm. And those were the lucky ones. How many others endured the refugee camp environment of the New Orleans Superdome? What all of those people had in common is that they didn’t provide for themselves. An overwhelming need arose that they hadn’t prepared for and suddenly their need for food, water, shelter, security, and more became someone else’s responsibility. Their desperate need caused them to lose the ability to make their own decisions and plot their own course, and placed those things in the hands of overwhelmed government agencies. Their desperate need and unpreparedness also caused them to lose the ability to help others. I don’t want to be like that. I don’t want to be put in that situation. I don’t want to live like a refugee. And I don’t want you to, either. I can’t guarantee that developing an emergency preparedness plan, stocking some extra food, and learning some new skills will save you and your loved ones from everything that might come your way. You could be out for a night at the movies and return to find your house burned to the ground. But I strongly believe that doing something to become more prepared for the things that you think may adversely impact you is better than being doing nothing and finding yourself helpless to meet your own basic needs. The people of New Orleans were warned repeatedly, days in advance of the coming storm. Some didn’t believe the warnings and went about in business-as-usual mode. Others just didn’t seem to care and allowed their problems to become someone else’s problem. But others heeded the warnings and took action. Which would you rather be? I believe that the warnings are sounding all around us today. I believe that it’s time for all of us to take some steps to get ready for the approaching day. What Kind of Event are You Prepping For? Within the community of those who are preparing for The Approaching Day, you’ll find a broad spectrum of speculation about what will bring about that day and therefor what that day will look like. Each of us has our own answer to the question “Why prep?” Each of us must decide for ourselves what we anticipate and those expectations will guide our preparations. Yes, in all scenarios you will want to have an adequate amount of food and water stored. But how much of each and how or when you expect to replenish your stock when it’s gone will depend largely on what you expect will happen. Severe weather — Recent weather patterns have shown us how unexpected and far-reaching these events can be. Having food and clean water, a heat source and backup communication plan makes your experience of these events significantly better than those who have not prepared. Economic collapse — Whether it is a collapse of the US economy or the world’s, such an event will usher in a time of high unemployment, scarcity and civil unrest. Terrorist strike similar to 9/11 — Such an attack could hit anywhere and could bring about chaos and scarcity. 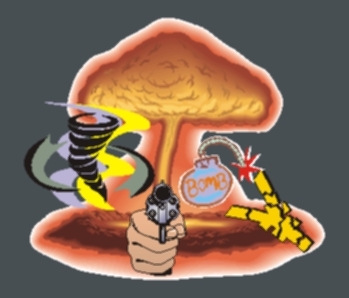 Nuclear strike — A generation ago, the population was trained in how to react to a nuclear strike. Most people alive today aren’t. But you can see how preparing for a nuclear attack would be significantly different in many ways, yet similar in many ways, to preparing for an economic collapse. Pandemic —A pandemic is a widespread outbreak of deadly disease. Thousands of people could be infected before they are even aware that they are sick. Thousands more would be infected before the sickness was diagnosed. A rising death toll could cause worldwide panic, chaos, and food shortages. Electromagnetic pulse (EMP) — An EMP would wipe out all electronic devices over a widespread area. That means nothing operated by electronics will work — not only your computers, laptops, and smartphones, but also the power grid (that means you now have no electricity), sanitation systems, gas pumps, and all electrical service. A power outage in our town a few years ago left our local gas station unable to close its doors, run its cash register, or pump gas. They had merchandise they refused to sell because they had no way to process the transaction, yet they had no way of protecting the merchandise. It was an odd and exceedingly uncomfortable experience. An EMP would take that experience and multiply it exponentially because the outages would be over a much wider area. Again, scarcity and chaos would quickly result. Civil unrest — Any of a number of events can precipitate civil unrest, but once it takes hold it is difficult to contain. Looting and violence are typical. There are other events that could occur, but you can see that each of these events have several things in common: scarcity and civil unrest are common denominators. Regardless of what you anticipate the cause of The Approaching Day to be, your preparations should consider these things. Beyond that, your preparations will be directed by your expectations, your resources (both money and time), your skill set, and your degree of motivation. What event are we prepping for? Phil and I have approached prepping with an “it’s anybody’s guess” attitude! So we go with what we know. What we know is that the world is becoming more dangerous and more fragile. We also know that most preparations we make now will be helpful in a variety of different scenarios. And we know that we cannot be prepared for everything and we’re not to be anxious about what we can’t be ready for. What does that mean for us? It means we are preparing for scarcity of food and water. It means we are preparing for a world with limited electricity, heat and gas. It means we are gradually expanding our preparations to include other precautions. What are you prepping for? What steps are you taking now? What time frame are you working within? We encourage you to keep reading here to learn more about being ready for when a calamity of any sort occurs. Because the world is a fragile place – Phil did a great job of discussing these in his story. You can read it here. We also discussed it a bit in the article titled What are You Prepping For? So for this short introduction, suffice it to say that the world is a fragile place. Because you want to be able to care for your family in a disaster – Prepping gives you peace of mind that you and your family will have food, water and shelter in an emergency. It doesn’t matter whether that emergency is caused by an extended power outage, losing your job or a significant disruption in the food distribution chain. Providing for your family by prepping makes as much sense (or more) than providing for your family by purchasing life insurance. Because you want to show Christ’s love to your community in a disaster – Starting now gives you an opportunity to prep items that will be more than enough for your family – food and water that you can share with friends and neighbors. Disasters are opportunities for the Church to shine. You can read Sandy’s answer to the question “Why prep?” in her story here. Phil tells you his reasons immediately following Sandy’s story. And of course, you’ll find tidbits of our thinking throughout the site. Everyone is preparing for something. Some of you are preparing for a storm that could cause you to lose electrical power for several days. Others are stocking up to prepare for the possibility of being laid off from their job for an extended period of time. Other folks are preparing for more exotic calamities like draught, an economic collapse, war, widespread civil unrest, solar flares (the cause of the beautiful aurora borealis), pandemic disease…you name it. Or read more about it here. Our concern is that what too many people are “preparing” for is to stand in line for the government to rescue them when hard times come. Instead of pre-planning and saving for their own rainy day (or week, or year), too many people are planning to make their problem everyone else’s problem. I don’t want to be like that. I don’t want to be put in that situation. And I don’t want you to be there, either. I can’t guarantee that developing an emergency preparedness plan, stocking some extra food, and learning some new skills will save you and your loved ones from everything that might come your way. But I strongly believe that doing something to become more prepared for the things that you think may adversely impact you is better than being doing nothing and finding yourself helpless to meet your own basic needs. I believe that warnings are sounding all around us today. I believe that it’s time for all of us to take some steps to get ready for the approaching day. Are you ready to take some first steps toward becoming prepared?